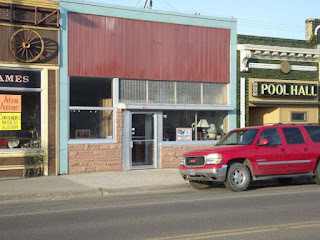 The former Jonnies Cafe building is now for sale in Glasgow, Montana! The building is located on Glasgow’s famous Front Street near 3 bars and just across from the railroad depot. The estate has over 2,500 square feet and is priced to sell! Located near recreational fun! Enjoy the Milk River, Children’s Museum of Northeast Montana, Fort Peck Lake and the Missouri River. Call Jon Svingen at 406-263-2113, or the Helland Agency at 406-228-2114, for more information. Priced at $49,950.